This is the same bamboo ladder used for hundred of years in China and Japan. Strong, yet delicate in appearance. Use them as your imagination desires, bathroom towel rack, work ladder, decorative and more. Our bamboo ladder is both solid and decorative. The fine craftsmanship results in tight joints which are pinned in place with bamboo pins. 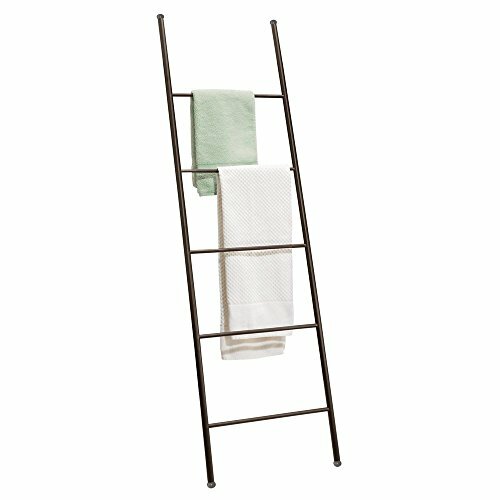 The mDesign Bath Towel Storage Ladder features 5 rungs for stylish and functional bathroom organization. Ideal for bath towels, hand towels, washcloths, clothing and more, this ladder leans against the wall for easy setup. 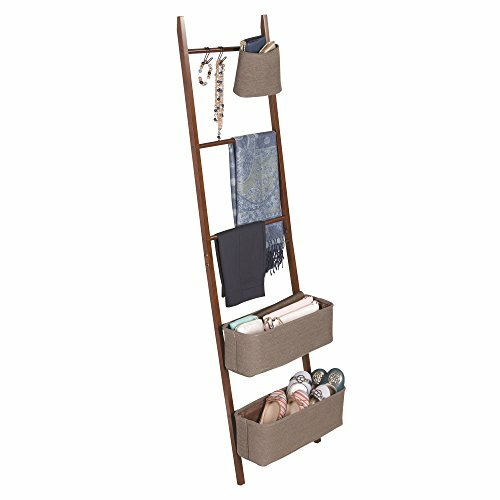 The mDesign Bamboo Storage Ladder with Hooks and Bins is a stylish alternative piece to storing clothes or jewelry! Keep your belts, scarves, necklaces or small tank tops in one easy-to-access spot. The legs include rubber grippers that keep the storage ladder in place but also protect your floor. Hanging fabric bins are also great for small towels or even sunglasses. 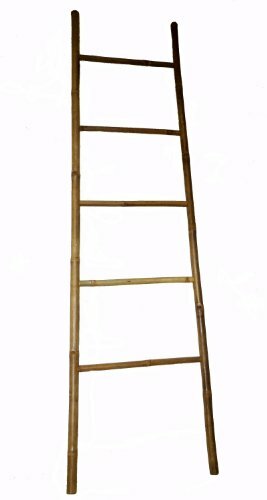 The environmentally friendly and stylish bamboo ladder accents any bedroom or living space. 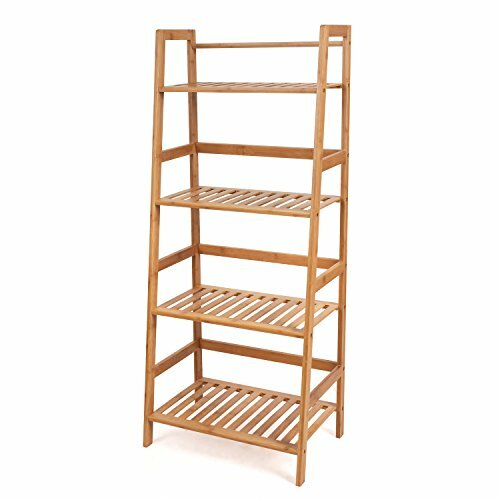 Our bamboo ladder rack is uniquely designed to be used as a towel rack. It is made of natural solid bamboo and sand finished for indoor use. Finished with all natural cashew nut oil to enhance its look as well as for extra protection. 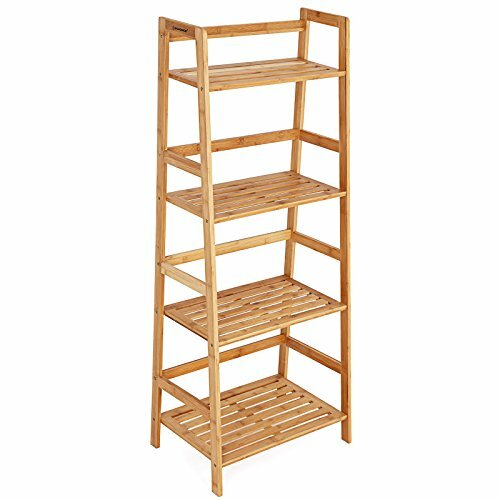 This self standing double folding bamboo ladder is uniquely designed to be used as a storage rack for household or commercial display. Great for placing towels as a rack. It is made of natural solid bamboo and sand finished for indoor use. Double ladder design for extra space and folds up for easy storage with a beautiful mahogany stain finish.